Our members enjoy many different activities with their dogs. 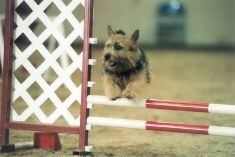 Norwich Terrier (Darcy) doing agility!!! 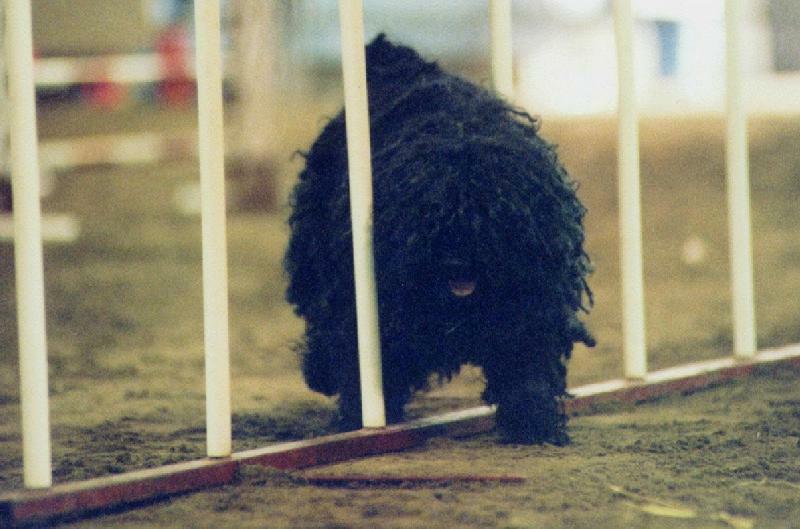 Puli (Keddi) doing the weave poles...And quite well - thank you. 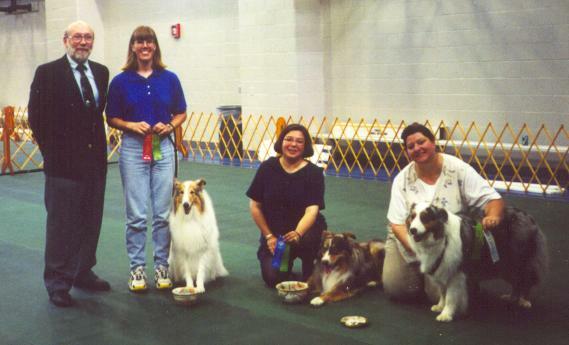 The Obedience Club of Corpus Christi trials June 9, 2001. Judge Frank, Tara and Collie Morgan, Sophia and Australian Shepherd Crockett, and Gail and Australian Shepherd D'Hanis. Tara and Morgan finished their Companion Dog title (CD), so did Gail and D'Hanis. Sophia and Crockett picked up a leg in Open. The very next day, Tara and Morgan went High in Trial!